July 9, 2010 - First sighting of honey bees this year! USA is poised for a "Green" Revolution--So why isn't it happening? It's September 22. Today I went to the garden with my bowl to see what I could harvest, same as every other day. I got two ugly tomatoes, a few ugly green beans, and some raspberries ravenged by insects. And a lovely, if somewhat small, head of broccoli. I can't complain. Every other day I would fill my bowl with produce from my garden, sometimes more than I could carry into the house on one trip. Day after day, the beans were beautiful and bountiful. The tomatoes suffered from the very wet summer, but we still had some to give away after eating all we could. It was amazing how much food we took from that little backyard garden starting early in July. The zucchini plant looks like it will make another couple squash, and the few carrots still unharvested are trying to grow a bit bigger. The rest is probably history--except for the broccoli. With the advent of cooler weather, the broccoli is at long last flourishing. Tonight's supper included pole green beans, carrots, and tomato salad using our garden produce. We've greatly enjoyed the occasional acorn squash or mess of beets, and stir fries with zucchini strips and broccoli tips. I have to figure out how to grow more of those vegetables that give us variety in flavors and extend the fresh produce season both earlier and later. For most of our married lives, my husband and I have eaten lots of vegetables in wide variety. With the garden, we're not so much changing our diet as reveling in it for a few months of the year. 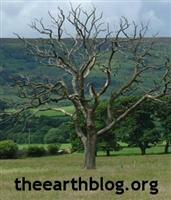 I think our attention to "slow food" over the years has paid health dividends. Which brings me to the subjects of bicycles and ballet. A love of bicycle riding goes back to my childhood days--and I talk about cycling around town often on this blog. What you may not know about me is that roughly between ages 40 and 60, ballet was my major form of physical activity, my recreation, my art form. At around 60 I seemed to phase out of ballet and back to the bicycle. This year I had a surprise--I've gone back to ballet class and love it as much as ever--as I turn 67! No doubt the bicycle kept me in good enough condition (and the garden, and the stairs in my house, and playing with grandchildren) to let me attempt dance once again. Here's what happened. This year I'd been taking my granddaughter Lily, age 10, to ballet class at my old school, for lessons with my former teachers. I couldn't pull myself away from the observation window. In my mind, I craved doing those exercises again. One day this spring, one of my former teachers said casually in passing, there's an adult beginning ballet class this season. You could do that. Why not try it? A couple of weeks later I did get up my courage, found some tent-like exercise clothing in black, and some old ballet slippers, and went. A couple of those classes led to some summer classes of mixed skill levels. The tent outfit was exchanged for one that was a little more form revealing. My summer teacher said I should come to her class in the fall, the skill level where I'd left off about six years earlier. And that's what I'm doing today. It has been slow getting back some muscles one uses a lot in ballet. Ditto for flexibility. My class is just one hour a week, and that is about right. I need the rest. But it feels wonderful, not only while I'm doing it, but all the time in between classes. I just feel better. Ballet was something I tried on a whim when I was about 40. I found out that the methodical warm ups and progression of exercises for strength training, balance, and coordination were ideal for me. I was very slow at learning combinations of steps--in other words, in learning the phrases of dance language. Perhaps not dancing as a child hindered me. But after 20 years, I was getting pretty good even at that. During those very active decades of ballet, I learned to dance in pointe shoes and danced in recitals with kids who were as tall as me, but a third my age. I can't begin to describe the richness of experience I obtained from dance. At that level of performance I had to live a disciplined life. 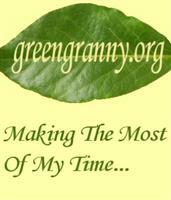 After age 50 I started to pull back from recitals, and later, from taking class with teenagers. Extra pounds crept on. At age 60 I did some performing in the annual Senior Variety shows, for which performers must be at least 60 years old. And then life got even more complicated than it had been, and I just quit--until now. My adult classmates are still decades younger than me. They are totally supportive, however. They respect what I can do at my age, and they respect the glimmers of advanced technique that still reveal themselves in my dancing. They know it took years and a lot of work to become able to do those things. Sometimes, when we are doing a set of steps across the studio--the real dancing part of class--something clicks in my head and my brain finds some well-worn synapses that pull my body into line. The music becomes transcendent. And I'm dancing as I thought I'd never dance again. 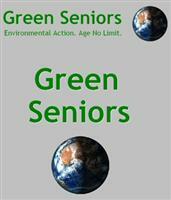 All work on Green Seniors and Green Granny is published under a Creative Commons License.